Both the United States Constitution and the California Constitution provide that we all have a right to privacy, something that we all hold sacred. There are times when an individual’s privacy is challenged or invaded. For example, injured individuals filing personal injury lawsuits may feel their lives are open books once they file a complaint in court. 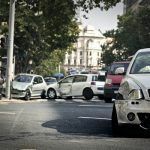 While it is certainly true that plaintiffs’ lives do become a little bit more open to scrutiny, there are still limitations on what defendants can discover about an injured party. Often, defendants seek to find out much more than they are allowed to by prying into a plaintiff’s past. Defendants want to find anything they can to show that a plaintiff is not injured by the defendant’s conduct. This is particularly true in situations where a plaintiff may have been treated for a mental condition in the past. 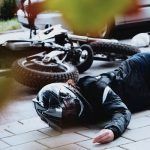 Defendants wish to blame a plaintiff’s injuries not on what allegedly occurred in the plaintiff’s lawsuit, but on something that happened in the past that has absolutely nothing to do with the alleged injuries suffered by the plaintiff. For example, defendants may wish to assert that “alternative stressors,” such as a mental health condition are the reason for the plaintiff’s suffering – not the defendant’s conduct as alleged by the plaintiff. The right to privacy extends to a person’s medical records. This is important because, in personal injury actions, medical records can make or break a case. 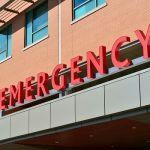 If it is clear that a particular medical record is relevant to the injuries a plaintiff alleges in court, then that medical record must be produced to the defendant(s) in the case. If there is nothing in a medical record to prove that some other condition or experience is a contributor to the plaintiff’s injuries, then that medical record cannot be discovered by the defense insurance company. Mental Health Records – Davis v. Superior Court (1992) 7 Cal. App. 4th 1008, 1011. Employment Records – San Diego Trolley, Inc. v. Superior Court (2001) 87 Cal. App. 4th 1083, 1097. In addition to discovering mental health records that may identify potential alternative stressors, defendants cannot discover certain information contained in employment records, as such records are within the protection of the right to privacy under both the United States and California constitutions. If there is a legitimate and compelling need for the discovery of an employment record, discovery of such record will be extremely limited to the relevant information that pertains to a plaintiff’s personal injury lawsuit. The same rules that apply to personal injury lawsuits also apply to employment lawsuits. A defendant must have more than speculation to discover medical records that may be documented in employment files. 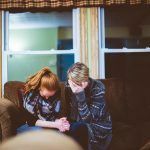 A plaintiff’s claim of emotional harm in an employment lawsuit is not enough for defendants to seek anything they can find to blame a plaintiff’s emotional harm on some other prior condition. ( Tylo v. Superior Court (1997) 55 Cal. App. 4th 1379, 1386). A plaintiff’s financial situation cannot be discovered by a defendant, even if the plaintiff’s finances in any way are relevant to the case. This includes, but is not limited to, financial statements, banking records, and tax records. However, if a plaintiff claims lost wages or loss of chance of future income, the plaintiff’s financial affairs may be discoverable. Income tax returns, however, are normally not discoverable. Some defendants may wish to discover information that is protected as third party information. For example, if a plaintiff’s medical records document that a family member was diagnosed with a mental health condition, a plaintiff can assert that family member’s right to privacy, preventing the defendant from discovering any portion of the records that pertain to third parties not involved in the lawsuit. I’m Ed Smith, a Fairfield Auto Accident Lawyer. (California). If you or a family member has been seriously hurt in an accident, please call me today at (800) 404-5400 for free, friendly advice. Read our firm reviews on Yelp, Avvo, and Google.